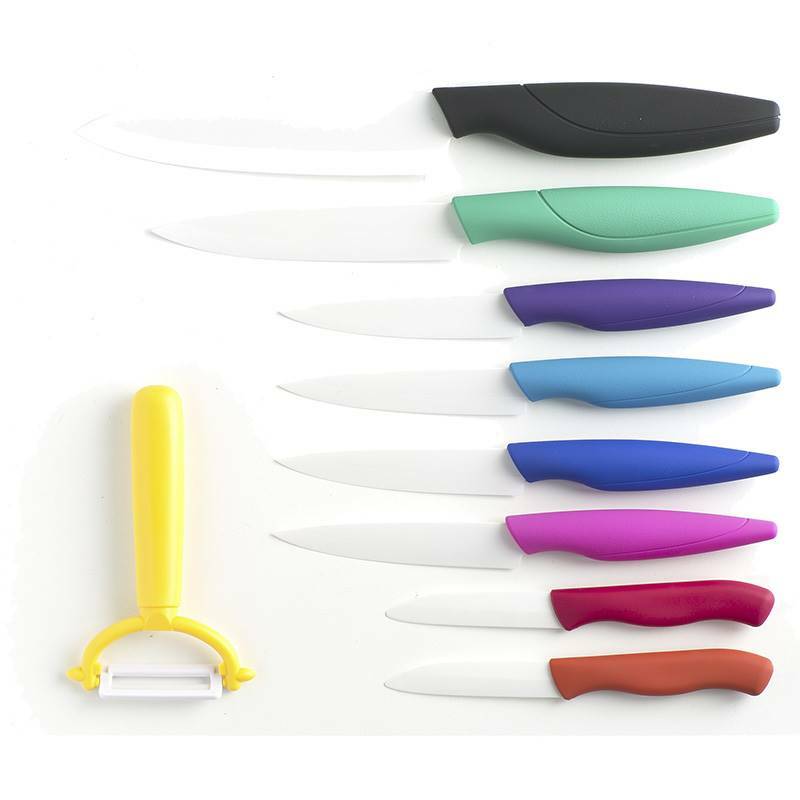 Ideal for all kitchen tasks, this 9-ceramic knife set help you to realize multiple tasks while cooking: mince, cut, slice, peel, chop…The blade of this knife set is made of a very hard ceramic, zirconium oxide which ensure a durable sharp edge and an unrivalled cutting hygiene. 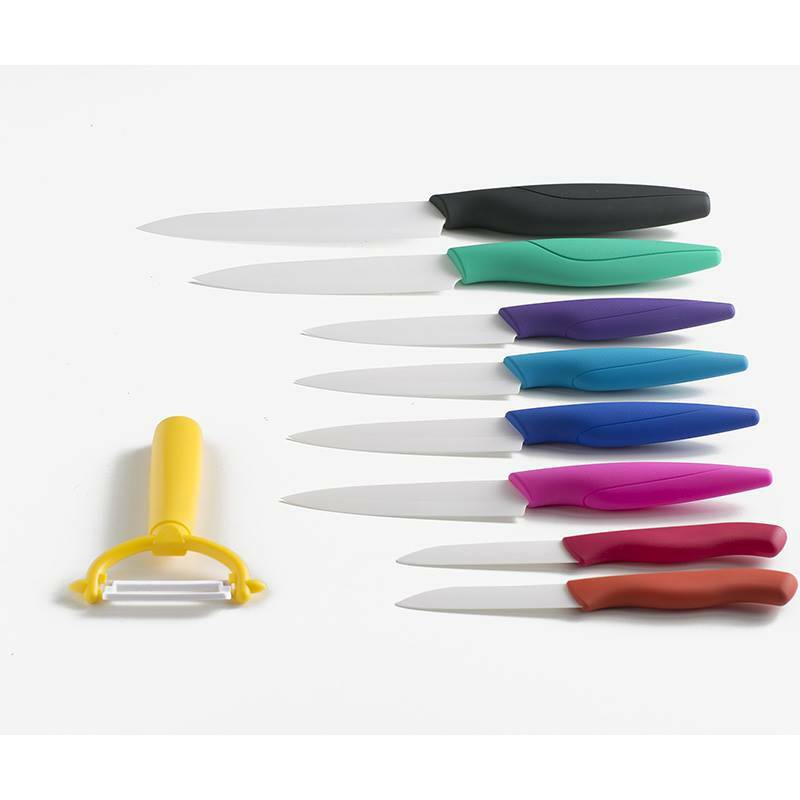 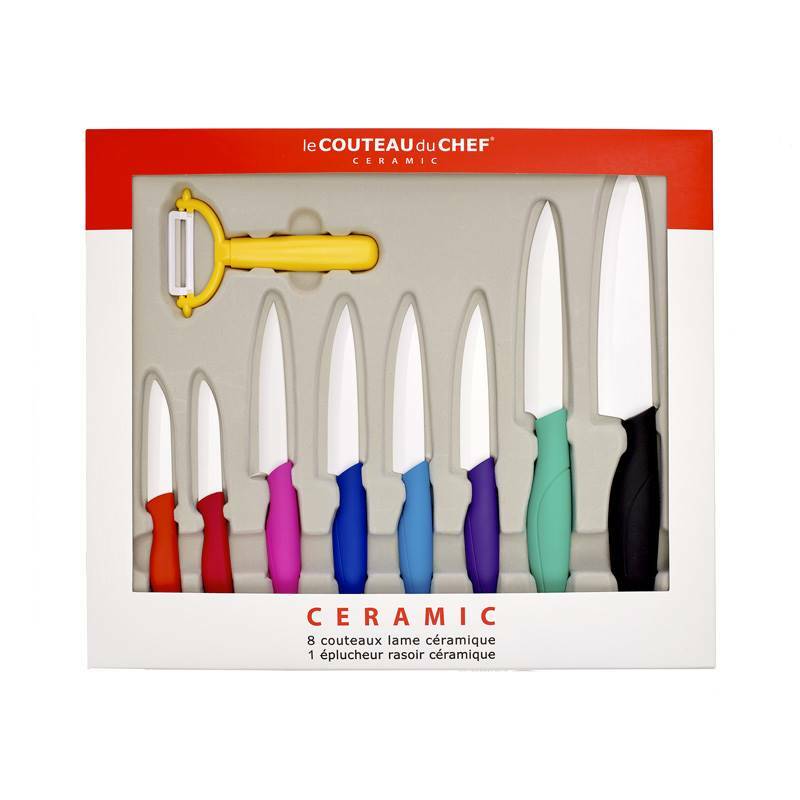 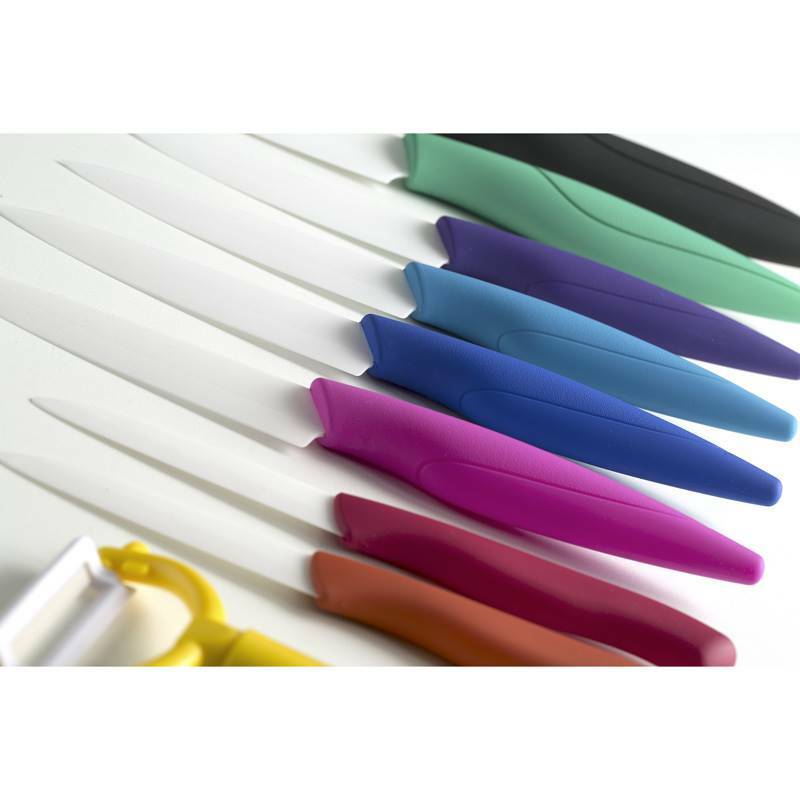 In addition to their extraordinary cutting qualities, these ceramic knives are also equipped with handsome multi coloured handles. 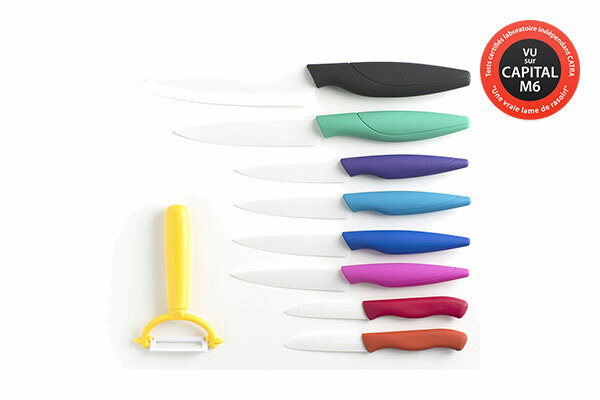 Robustness, lightness, exceptional sharpness, and coloured design make these tools efficient knives but also colourful tools that will brighten up your kitchen.